Posted: Sunday, June 3, 2018. 5:07 pm CST. 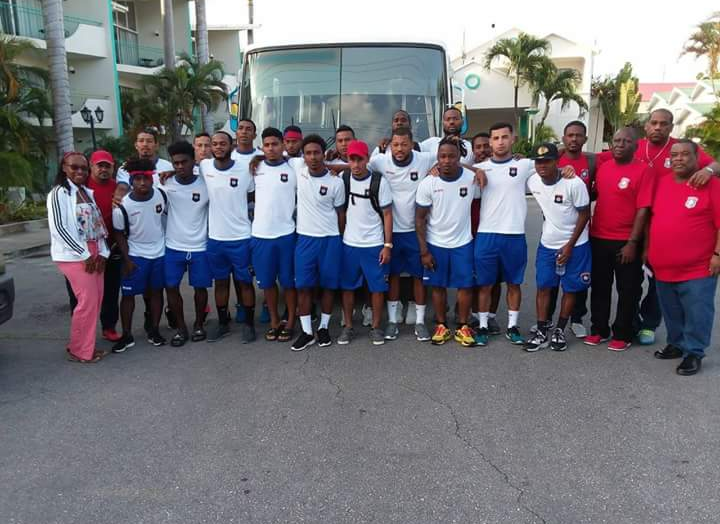 By BBN Staff: Belize’s national football team, known as the Belize Jaguars, is competing in an international friendly football game this evening against the Tridents, the national team of Barbados. The game is being played at the Wildey Turf in Barbados at 7 p.m. Barbados time (5 p.m. Belize time) today, Sunday 3rdJune. In March of this year, the Jaguars played a friendly match against Grenada at the Isidoro Beaton Stadium in Belmopan and won that game 4 goals to 2. The game today against Barbados is only Belize’s second international friendly. On August 4th 2018, Belize will host the Barbados Tridents for the Jaguars home game. In the article in Barbados Today, the Tridents’ Technical Director, Ahmed Mohammed states, “We are ready for Belize, we know that it is going to be very tough against them, but we are ready for that”. He continues, “Belize is a totally different team compared to us. They play different football that we are used to, it is more intense, and more one touch football, and they are also very aggressive”. In an interview conducted by Channel 5, Ian Gaynair of the Jaguars states, “I feel really confident because I think we all prepared really well. We trained for 2 weeks and we had practice matches”. He continued saying, “So I’m very confident that we can go out there and win the away game”. Both the Belize Jaguars and Barbados Tridents are hoping that these friendly matches played amongst the Caribbean countries will help them to qualify and prepare for the upcoming Confederation of North, Central American, and Caribbean Association Football (CONCAF) League of Nations qualifiers which begins September 2018. In addition, Belize is using these friendly games to sharpen the Jaguars’ skills in preparation for the 2022 world Cup eliminations which begin in 2019.